These tasty protein rice crispy treats are a delicious post-workout snack when you want something a little more indulgent. Rice Crispy treats are one of those childhood favorites that everyone loves and super easy to make! 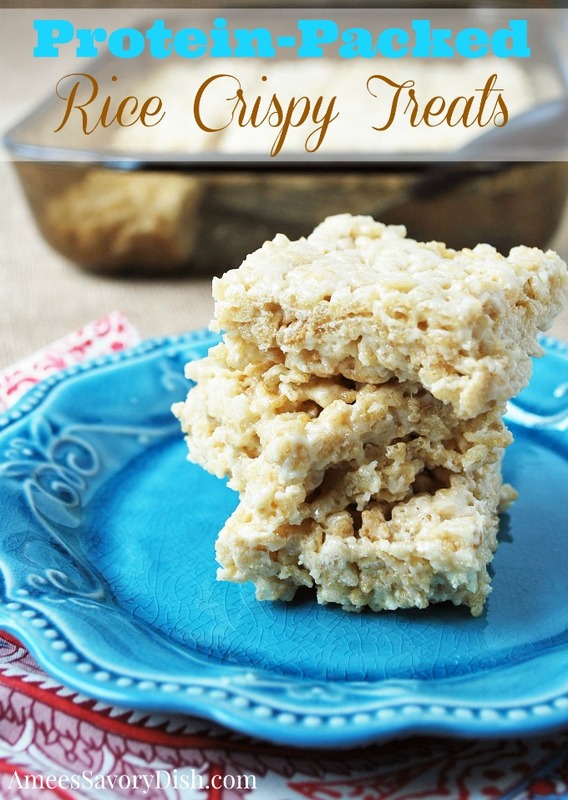 I love to eat these tasty protein rice crispy treats as soon as they are pressed in the pan. I mean, who doesn’t love a warm rice crispy treat?! 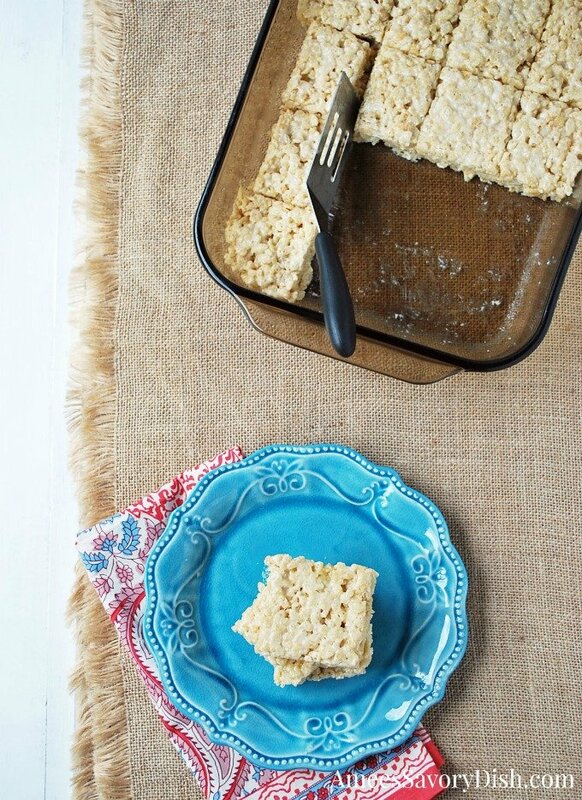 If you add a glass of milk, these protein rice crispy treats make a pretty epic snack. Sometimes it’s hard to sneak extra protein in a picky kid’s diet. These protein rice crispy treats are a fun way to get more protein into their growing bodies. No, this recipe is not health food, there is sugar in the marshmallows. However, it is a better alternative to more indulgent sweet options that are loaded in calories and void of any protein. I’m all about getting in better ingredients wherever I can and sometimes you have to trick the kiddos into eating healthier foods. Protein Rice Crispy Treats will not only have the kids running, but the parents too. I’ve had the store bought protein rice crispy treats, but I like this homemade version better. This is not a high protein recipe, if you add too much powder these babies get dry and I haven’t perfected how to boost it higher, without compromising texture. However, you can get additional protein from adding an 8 oz glass of low-fat milk. I love the Fairlife milk as a post-workout protein source. It has twice the protein, no lactose and less sugar. That’s a win in my book! It also tastes delicious and I LOVE their chocolate milk! *This is not a sponsored post by Fairlife, I just really love their product. I buy it frequently for my kids to give them an extra protein boost. What is the purpose of adding apple sauce? The apple sauce replaces some of the butter in the recipe to add moisture without extra fat.